Melissa Moreno with the advantage? We have already weighed in on Measure L, the most hotly contested local race. Here’s a quick look at three other local races of note. DJUSD School Board – Chris Legal, even before he was arrested, wasn’t going to be a viable candidate. So this one is not a race we’ve focused much on, with incumbent Tom Adams and challengers Joe DiNunzio and Cindy Pickett looking like virtual locks for the three spots. Measure M – In other years the school bond might have focused more attention as well. However, there was no real opposition to the measure. No one filed a statement opposing it. It does need 55 percent to get approved, but that should be achievable. That leaves the heavily contested Yolo Board of Education District 2 race. This was an open seat incumbent Bill Owens vacated. It features former DJUSD Superintendent David Murphy against Professor Melissa Moreno. We will look at three categories: money, endorsements and letters. David Murphy raised $10,510, and loaned himself $6119 for a total of $16,629 in cash contributions. Melissa Moreno has raised $17,540 and loaned herself $3500 for a total of $21,254 in cash contributions. While the total money is close, the fact that Moreno was able to hold a big $17,000 to $10,000 advantage over a better known opponent in contributions seems rather significant. She raised over 70 percent more than her opponent – add in the advantage he should have had with name recognition, and that is a very large difference. Turning to endorsements – and by the way, David Murphy’s website might be the least accessible site I have ever seen for a candidate, here are the major endorsements for each. David Murphy has the Davis Enterprise. Current elected officials: Bob Poppenga (DJUSD) and Dan Carson (City Council). Past elected: Helen Thomson, Lois Work, Ruth Asmundson, Joan Sallee, Marty West, John Munn, Ken Wagstaff, Maynard Skinner, Ann Evans, BJ Kline, Keltie Jones, Davis Campbell (former Yolo Board of Education member) and Delaine Eastin. 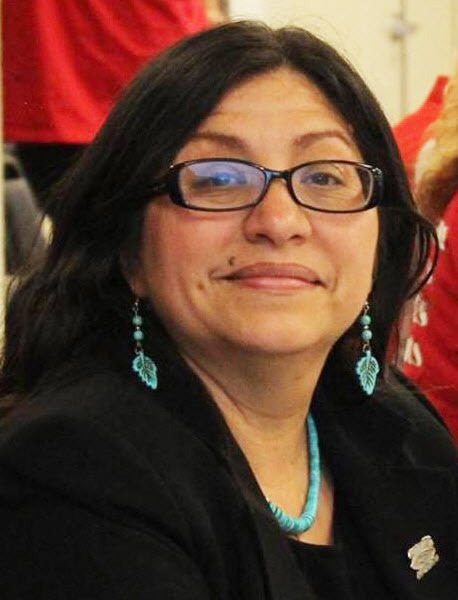 Melissa Moreno has a lot of endorsements, including from the Yolo County Democratic Party and the Yolo Education Association (who are the educators of the Yolo County Office of Education), among others. Current elected: Jim Provenza, Don Saylor, Jesse Ortiz (Yolo County Superintendent of Schools), Bill Owens (whose spot she is running for), Alan Fernandes, Mayor Brett Lee, Gloria Partida, Lucas Frerichs, Will Arnold, Jesse Loren (Winters City Council), Cirenio Rodriguez (District 3), and Enrique Fernandez (Woodland mayor), among others. Past elected: Delaine Eastin (apparently she endorsed both), Mariko Yamada, Betsy Marchand, Jorge Ayala (former Superintendent of Schools), Madhavi Sunder, Gina Daleiden, Sheila Allen, Tim Taylor, and Woody Fridae (former Winters mayor), among others. It is not clear to me how much endorsements matter, but it would seem that there is an advantage, especially among current elected, heavily tilting toward Melissa Moreno. Turning to letters to the editor, my count from September 1 to November 4 is 21 letters supporting Melissa Moreno to 10 letters supporting David Murphy. I am a bit surprised by how much these three measures tilt in favor of Melissa Moreno. My sense is that David Murphy started this race with a clear name recognition advantage. However, there is a clear split in the perception of those who worked with him. Just look at the school board for instance – Mr. Murphy has support from folks like Ruth Asmundson, Joan Sallee, Marty West, John Munn and BJ Kline, but opposition from Don Saylor, Jim Provenza, Sheila Allen, Gina Daleiden, and Tim Taylor. Melissa Moreno has a clear advantage among current elected officials, she has raised more money and has a 2 to 1 advantage in letters to the editor, suggesting she has the more robust campaign. All told, I would give her a slight edge at this point, only because with a somewhat low visibility race it is hard to assess how these factors mitigate against David Murphy’s clear name advantage. Another interesting piece of data, Melissa Moreno’s Facebook page has 466 likes to 87 for David Murphy. Folk… if you have already voted, or will tomorrow, great! If you haven’t, won’t, don’t complain… polls are open 7 A to 8 P.